We review 22 neuropsychological studies of frontal lobe functions in children with attention deficit disorder with and without hyperactivity (ADD/+H,ADD/-H). Some measures presumed to assess frontal lobe dysfunctions were not reliably sensitive to the deficits occurring in either form of ADD. Tests of response inhibition more reliably distinguished ADD/+H from normal children. Where impairments were found on other tests between ADD and normal subjects, they were highly inconsistent across studies and seemed strongly related to age of the subjects and possibly to the version of the test employed. Other methodological differences across studies further contributed to the discrepant reports. The co-morbidity of other disorders, such as learning disabilities (LD) and conduct problems, with ADD may be an additional confounding factor in some, though not all, of these studies. In a separate study, children with ADD/+H (n=12) were then compared on frontal lobe tests to three other groups: ADD/-H (n=12), LD but no ADD (n=11),and normal children (n=12) statistically covarying for differences in conduct problems across groups. Most measures did not distinguish among these groups. Both ADD groups made more omission errors on a Continuous Performance Test (CPT) than the normal group. All three clinical groups performed more poorly on the word and interference portions of the Stroop Test. Thus, while both types of ADD share some apparent similarities in deficits on a few frontal lobe tests in this study, the totality of existing findings suggests an additional problem with perceptual-motor speed and processing in the ADD/-H group. This research was supported by NIMH grant MH41464 and by funds from the Department of Psychiatry, University of Massachusetts Medical Center. 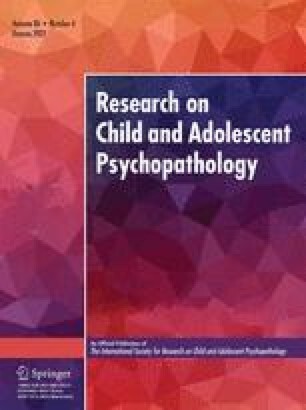 The authors are grateful to Judy Tessier and Ellen Mintz-Lennick for their assistance with some of the data collection and scoring. The comments of Virginia Douglas on an earlier draft of this paper are greatly appreciated.